When David Bowie died, the world lost an irreplaceable talent. In a fifty year career he blazed a trail that brought joy to millions, changing lives and opening minds. Many of us would not be the people we are, were it not for Bowie. 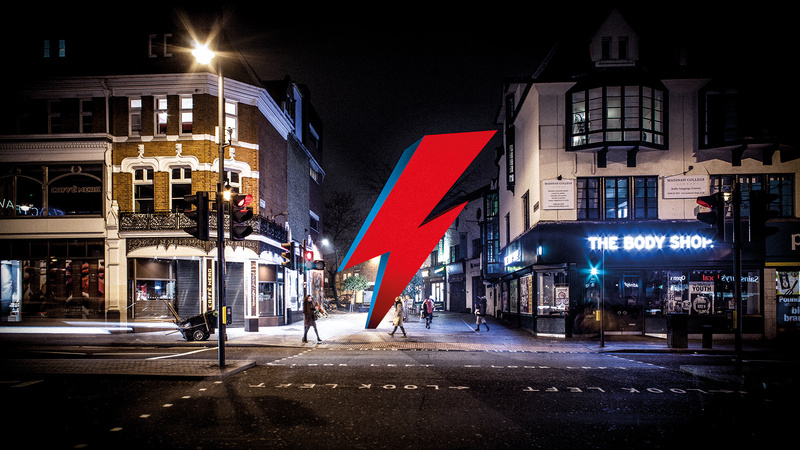 When David Bowie died, Brixton also lost a son. David Bowie, our Brixton boy. Now, in consultation with David Bowie’s team in New York and London, the Brixton community is building a permanent memorial in the place of his birth. Recreating the iconic lightning flash from Duffy’s Aladdin Sane LP cover in gravity-defying red and blue-sprayed stainless steel, this is a monumental piece of public art. 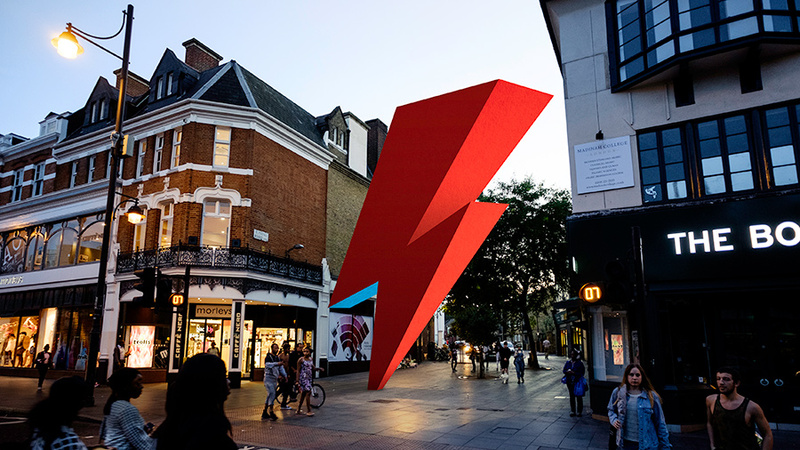 Just as an otherworldly David Bowie landed in our lives, the memorial (is it too soon to call it the ZiggyZag?) stands embedded in the Brixton pavement – a three storey tall bolt from above. A nine metre missive from another dimension, hurled from afar. Our location could not be more iconic. In the morning, the rising sun will shine directly on the structure – welcome respite for all us commuters. By night, Brixton Academy/Electric/Windmill gig-goers will be welcomed by a dramatically-lit scene. At once completely out-there and utterly down-to-earth. We’ve got an amazing selection of unique rewards for crowdfund supporters. If you pledge £20 (about US$25) or more on a reward your name will automatically be featured on the supporter roll of fame on the official David Bowie Memorial website. Welcome back Mike! Ex-employee Mike Wenban returns to eil.com after 17 (count ’em) years!